Explore the beautify scenery of New England and Canada with Holland America. It is one of the most unspoilt areas and cruising is a fantastic way to explore this stunning area in luxury. 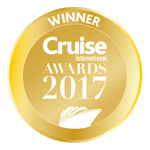 Spacious elegant ships, award-winning service, sophisticated dining in five star luxury.